Xiaomi has announced its next flagship smartphone as the Mi 8 in China but will launch it in India as well since the promo poster gives a glimpse of Taj Mahal. 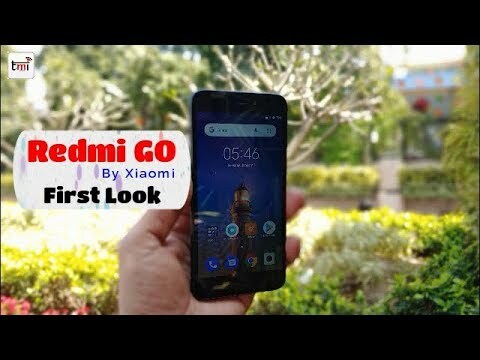 The device comes running the latest MIUI 10 which has also been made official boasting Xiaomi’s Xiao AI voice assistant. Xiaomi has unveiled the Mi 8 as its next flagship smartphone in China which will be the first device to run on the company’s newest MIUI 10. 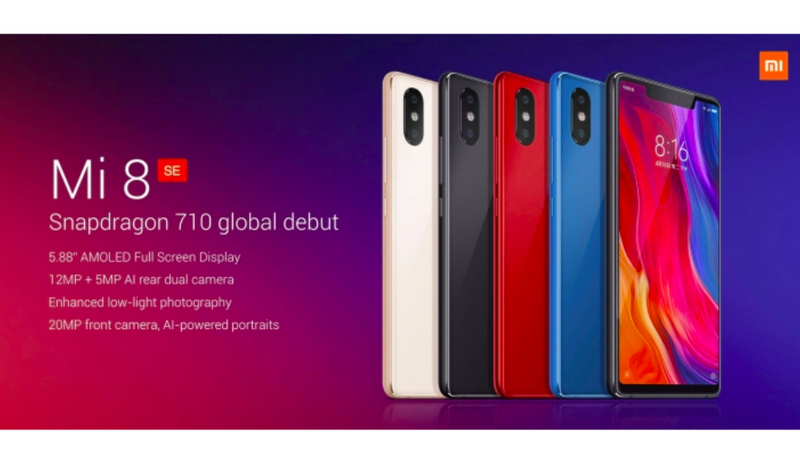 The Mi 8 features a 6.21-inch FHD+ AMOLED screen with minimum bezels that prefers as much as 88..5 percent screen space, a resolution of 2248 x 1080 pixels and an aspect ratio of 18.7:9. There’s the controversial notch on the front but it’s unlike any other Android device in the market in terms of what the front facing cut-out offers. Xiaomi has priced the 8GB/128GB variant of the Mi 8 for an asking price of 3,699 yuan (approx. Rs 39,000). The latest Mi flagship will be powered by a Snapdragon 845 chipset with up to 8GB of Ram and 128GB of onboard storage, meaning Xiaomi is pulling no stops for in matching the Mi 8 with the industry’s high-end devices. The Mi 8 scores a whopping 301,472 on the AnTuTu benchmark, thus proving its point as a flagship smartphone. 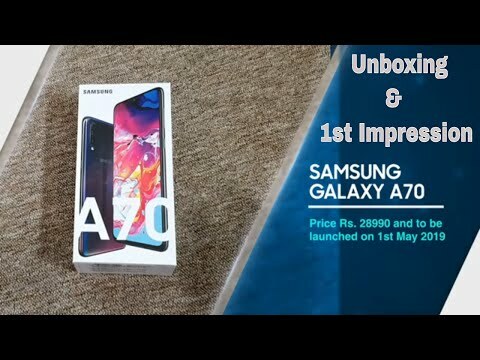 The device also comes running with the latest MIUI 10 which comes with iPhone X-like gestures and is lighter and faster than any of its older firmware versions. The MIUI interface installed on the Mi 8 will also let its users customize the notch on the phone or completely make it invisible by blackening the top part of the display. 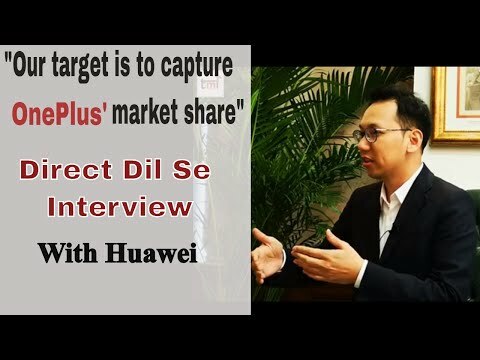 The Mi 8 comes with flagship specifications and with that comes a one of a kind camera setup which is now a dual 12MP + 12MP sensors with 4-axis optical image stabilization, a massive 1.4 μm pixel sensor, dual-pixel autofocus, all of which is enabled with Xiaomi’s artificial intelligence system. 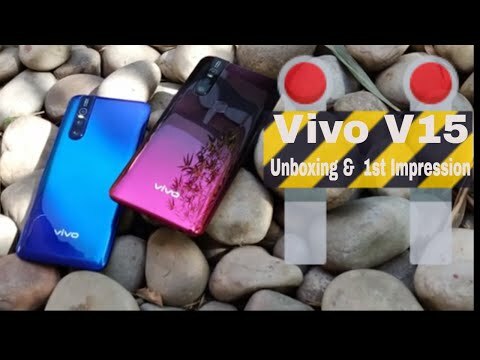 On its own, the Mi will be able to offer natural saturated colours and crisp details on any environment but with AI, the device will be able to detect scenes and change the image parameters in real time without an image being clicked. 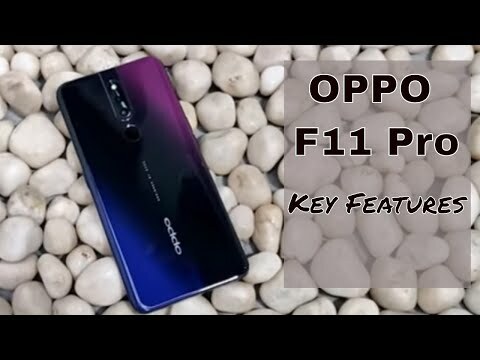 The AI-enabled dual camera offers presentable details in lowly lit surrounds and there are Studio Light effects which will generate professional-like enhanced portrait shots on any conditions. 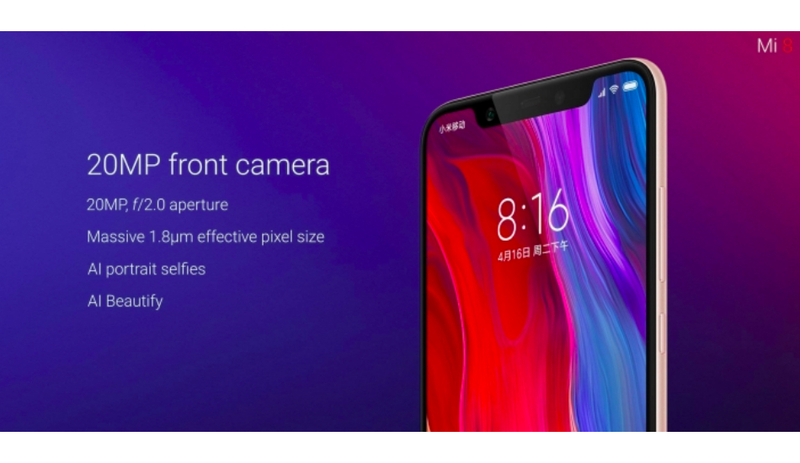 On the front, the Mi 8 packs in an even stronger 20-megapixel sensor with an aperture of f/2.0 and 1.8 μm pixel sized sensor which offers AI portrait selfies and a beatification mode. But that isn’t the only selling point of the front facing 20MP lens. 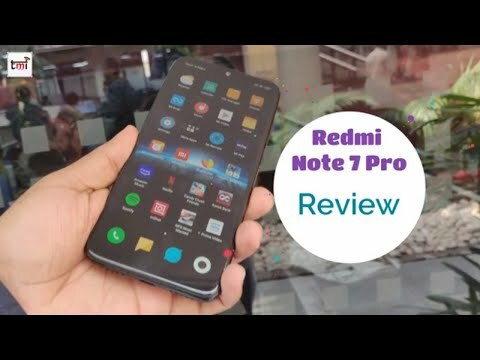 The camera on the front which hides under the notch at the top is accompanied by a plethora of other sensors which work similarly to a certain Apple device. Yes, that’s right. 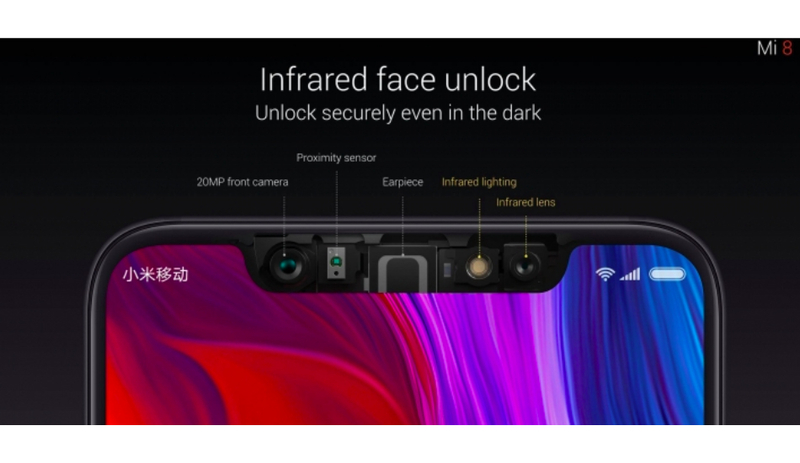 The Mi 8 will now employ an Infrared lighting sensor alongside an infrared lens that will be coupled with the 20MP lens to bring Face ID-like face unlocking technology. The camera on the Mi 8 will thus be able to unlock your device even in dark environments. 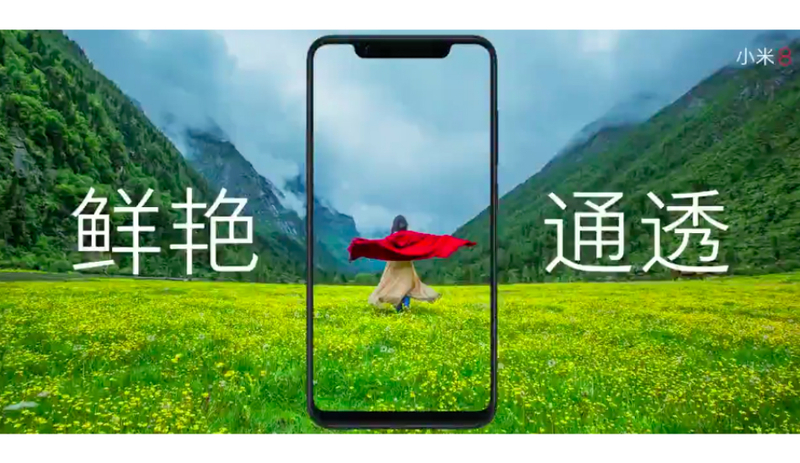 The Mi 8 will come with yet another iPhone X feature which will be Xiaomi’s representation of the Apple Animoji. Connectivity features include Bluetooth v5.0, Dual-GPS, WiFi and NFC for contactless payments. The Mi 8 will be released in China firsthand for an asking price of 3,699 yuan (Rs 39,000) for the 8GB RAM variant. There will also be a Mi 8 SE smartphone which will come with a smaller 5.88-inch screen that will equip an in-screen fingerprint sensor on the front. The Mi 8 SE will be sold in China for 1,799 yuan (approx. Rs 19,000). 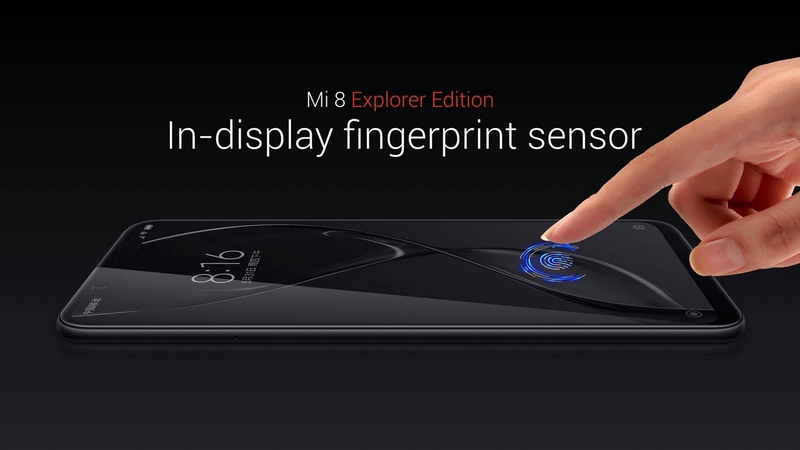 There's also a Mi 8 Explorer Edition smartphone which will have the 3D face unlock feature along with the in-screen fingerprint scanner on the front instead of a conventional fingerprint scanner at the back like on the standard Mi 8 device.